Dr. Carolyn Nessim is a Surgical Oncologist at The Ottawa Hospital. Her main clinical focus is in the treatment of Breast Cancer, Melanoma and other skin cancers as well as Soft Tissue Sarcoma and Gastrointestinal Stromal Tumors (GIST). She also serves on staff at the University of Ottawa, as an Assistant Professor of Surgery, teaching medical students and residents. 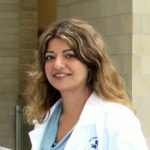 Dr. Carolyn Nessim conducted her specialized fellowship training in surgical oncology at the University of Toronto and the Peter MacCallum Cancer Center in Melbourne, Australia. She is certified in General Surgery by the American Board of Surgery and the Royal College of Surgeons of Canada and has the honor of being an active member of multiple medical societies including the Society of Surgical Oncology and the American Society of Clinical Oncology.